Density-density and spin-spin correlations are calculated in an extended Hubbard model with an intersite Ising-like interaction. Local expectation values and correlation functions involving charge density and magnetization are obtained using the density matrix renormalization group (DMRG) for a periodic chain of L = 10 sites at half-filling. Antiferromagnetic phases with spin and charge density modulation are identified and located in a phase diagram. R. Esperanza and F. N. Paraan. 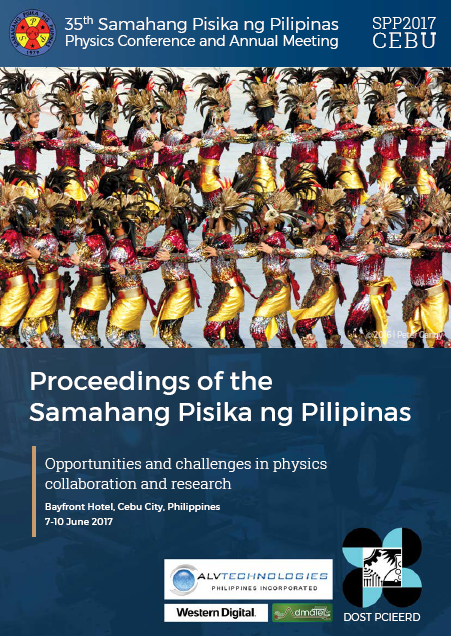 Correlations in an extended Hubbard model with Ising-like interaction, Proceedings of the Samahang Pisika ng Pilipinas 35, SPP-2017-PB-08 (2017). URL: https://paperview.spp-online.org/proceedings/article/view/56.